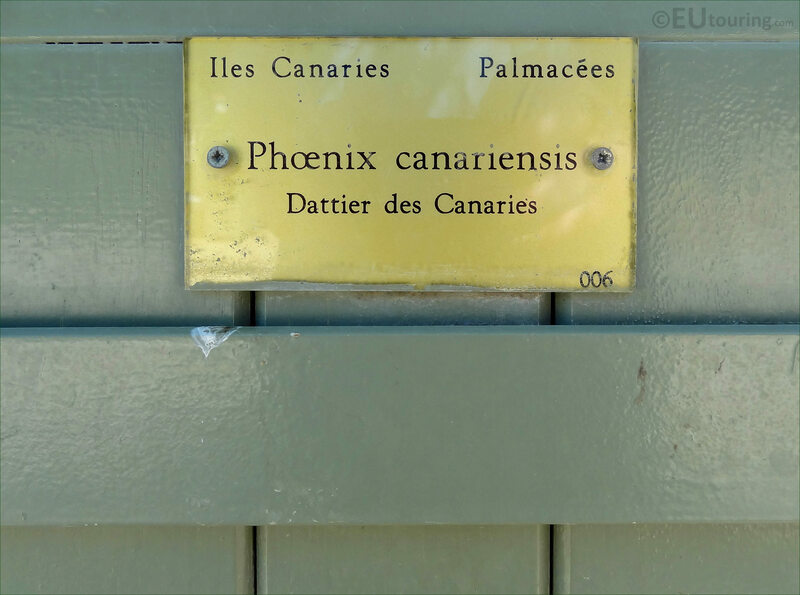 We took these high definition photos showing a Phoenix Canariensis, or Canary Island Date Palm, while we were again in the Luxembourg Gardens in the 6th Arrondissement of Paris. 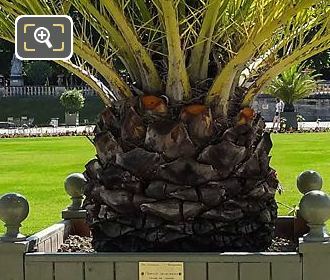 The botanical name for the type of palm tree you can see in this HD photo is Phoenix Canariensis, which is native to the Canary Islands, and therefore in English it is often referred to as the Canary Island Date Palm, yet in Spanish speaking countries it is Palmera Canaria and is a natural symbol of these islands. Now we took this HD photo showing the bottom of the tree in its pot, and when it is pruned it can become like a pineapple shape, so another common name in English is the Pineapple Palm, and as you can see, it was positioned on the edge of the formal central garden area of the Luxembourg Gardens in Paris. 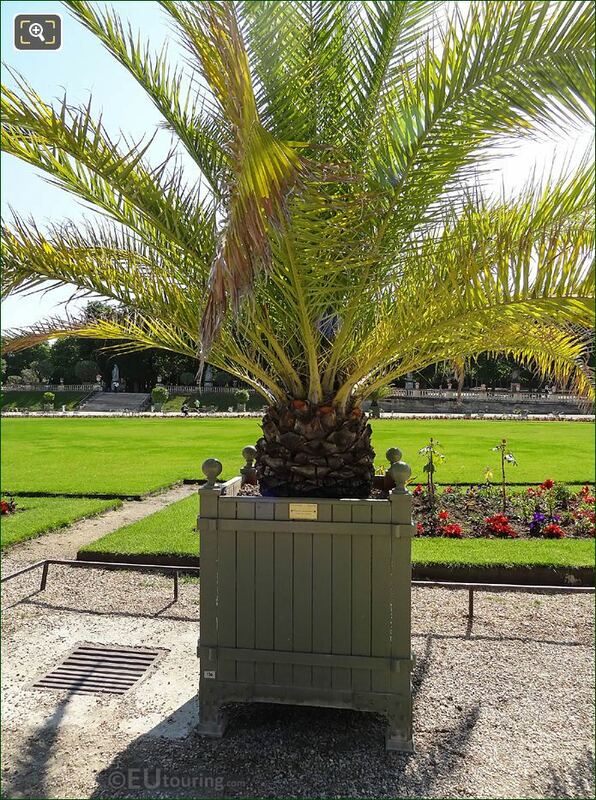 You will actually find different species of trees placed in green oak pots dotted throughout the Jardin du Luxembourg during the warmer months and each of the crates has a number on the bottom right corner of the plaque located on the side of the crate, with this one being Pot Number 006. 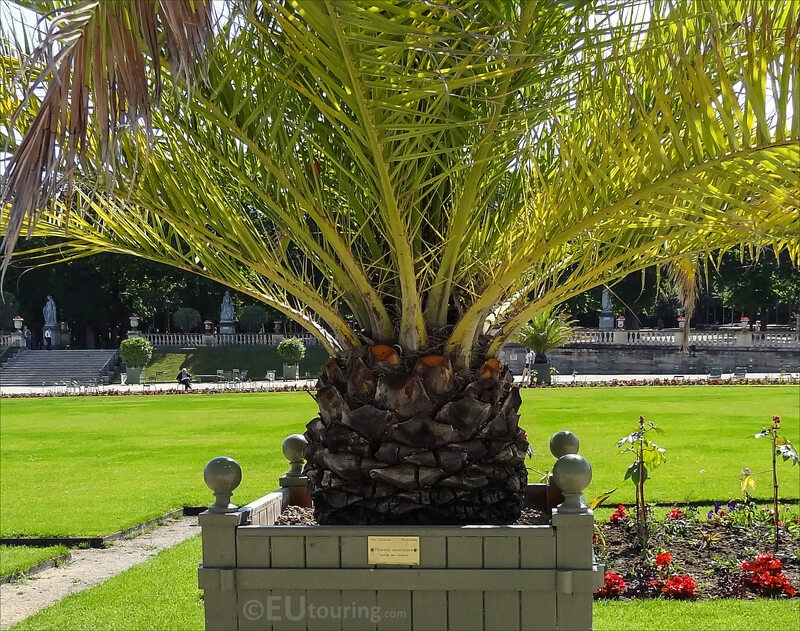 Incredibly the date palms can reach a weight of around 4.5 tons, which means that like this Phoenix Canariensis, when they get moved out of the Orangerie after the cold weather, they are transported by a tractor and float to their designated position within the gardens, yet these also have to be re-potted approximately every 7 to 8 years due to their root growth.